The rise of digital platforms for self-publishing mean it’s easier than ever for anyone to write a book. Unfortunately, this increased competition means most books will end up being read by no one apart from family, friends, and a few random strangers. While we cannot guarantee greater success, there are more than a handful of rookie mistakes we can prevent you from making. Avoid the following and you will have put yourself in a better position to sell yourself and your work, and to keep your dream of a literary future alive. 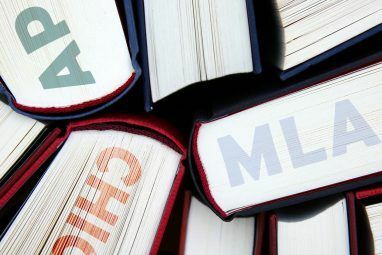 When a book blows up to become extraordinarily popular, it’s tempting to try to latch onto that popularity by writing a book in the same style or genre. We have seen this copycat syndrome play out with The Da Vinci Code, Harry Potter, Twilight, and many others. However, if you head down this road you’re exposing yourself as a writer who lacks originality and ideas, and who is somehow trying to cheat the system. You’re also unlikely to be as passionate about the story as you would be about one you create completely from scratch. The best writers know that the first draft of a story is not the finished product. The plot may contain holes, the pace may be off, the characters may need reworking a little. The only way to produce a novel you’ll be proud of for years to come is to make amendments and adjustments until it all comes together into one glorious whole. Too many first-time authors put their work out into the wild before it’s ready for public consumption. And anyone who reads a half-finished mess is unlikely to seek out future work by the author who penned it. In fact, they’re more likely to give it a bad review and vow never to go near that author again. Everyone makes typos Why Typos Always Matter, Even Online & In Text Messages [Opinion] Why Typos Always Matter, Even Online & In Text Messages [Opinion] We all make mistakes from time to time. It's natural, a part of life, a learning curve which we use to better ourselves. Typos are no exception. They happen often, and if writing forms a... Read More and the odd grammatical error. It’s not a lack of skill or knowledge that’s to blame, just a tunnel vision that means glaring mistakes slip through the net. Thankfully, this problem is easily fixed with a second pair of eyes. Every author should employ an editor, even if it’s their mother or significant other. This person can fix typos, and offer feedback as to how the story flows. It’s surely better to have problems spotted by someone you know rather than by a complete stranger reading your opus after publication. For new authors, actually writing a book is only half the battle. For those choosing to self-publish on digital platforms, the next task is making people aware that their book exists. There’s only one way to do this: promote the hell out of you and your work. This can mean offering your book for free Want An All-You-Can-Read Buffet? 3 Places To Find Free Ebooks Online Want An All-You-Can-Read Buffet? 3 Places To Find Free Ebooks Online It's a great idea to devote some time to the joys of reading and utilize the interesting selection of books available for free at our fingertips. Here are three interesting places you can visit. Read More for a limited time, building a presence on various social networks, or writing guest posts for websites with a link to your own domain as a reward. Anything you can do to make people aware that you exist is a step in the right direction. The reason the phrase, “Don’t judge a book by its cover” is so famous is because people often do judge a book by its cover. This is why publishers spend time and money on getting a cover design just right. Unfortunately, it’s also an essential job for a new author. The cover of your book doesn’t have to be a work of art. But it should be authentic, evocative, and representative of the story contained inside. After all, alongside your synopsis, this is the only way you have of selling your book before anyone has even read the first line. Thanks to the rise of eBooks it has never been easier to self-publish your work How I Self-Published My Magazine Online And In Print How I Self-Published My Magazine Online And In Print In August 2013 I reached the end of a project that had its origins over two and a half years earlier. I finally self-published my magazine online, but how did I manage it? Read More . Sadly, too many first-time authors make the mistake of limiting themselves to selling their wares through just one platform. There is absolutely nothing to gain from doing so. At the very least you should look to publish on Amazon Kindle, Apple iBooks, and Nook by Barnes and Noble. You can always start out on one platform, testing cover designs and price points, before expanding onto other platforms as you grow in confidence. Last, but by no means least, is the need to manage your own expectations. The fact that self-publishing is now so easy to do means you’re not the only person doing it. The amount of competition that exists means it takes a lot of hard work and a healthy dose of luck to stand out from the crowd. By all means dream of being a huge success. Just be aware that only a handful of people manage to hit the bigtime. Enjoying moderate success is more likely, with some loyal fans and an extra revenue stream coming your way. Write because you enjoy doing so, and because you’re passionate about the stories swirling around in your head. That way, any fame and fortune that may befall you will be the icing on an already appetising cake. This advice is offered from the perspective of an avid reader and budding writer. Since buying a Kindle Kindle Paperwhite Review & Giveaway Kindle Paperwhite Review & Giveaway The Kindle Paperwhite is Amazon's current flagship reader, and one that we've been wanting to review and give away for quite some time. 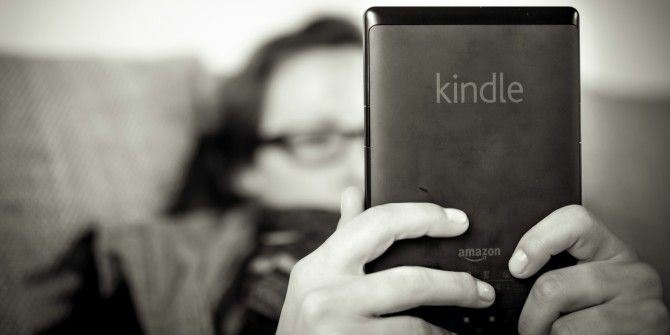 If you already own a Kindle or a different eReader, you may... Read More I have consumed a lot of books by first-time writers who seized the opportunity the digital publishing revolution offered. Unfortunately, many of these otherwise talented writers made poor decisions that will stifle their chances of success. By all means start here, but don’t finish here. These are, after all, just some essential tips you need to know when launching your writing career. Do acres of research before you ever put pen to paper or fingers to keyboard. It will likely pay off in the longterm. And when it does, come back here and add your own advice to others setting out on their literary journeys. Image Credits: Tim RT, Woodleywonderworks, MPClemens, Nic McPhee, Very Quiet, Colin Dunn, Elliott Brown, Roland Tanglao. All via Flickr. All good points and without condemnation, so I appreciated it. It's hard starting out when you can't afford an editor or graphic designer. It's nice to read a blog that isn't pushing only the professionals. I am not a fan of Amazon, but I have to be honest: they generate 98% of my business. B&N is only 1%, and we've pretty much given up on the 1% Apple was generating because their platform was too challenging to work with. I wish B&N well, but I don't waste any more time publishing to them. Just one person's opinion. I think self-promotion is particularly key. Most publishers won't help you promote your work; they expect you to do it. But if you can prove you're good at advertising already they're generally more interested in your stuff. People have got more resistant to self-promotion too; personally, my main suspect is self-publishing which has led to most writers trying to plug something. Don't get me wrong: self-publishing is a wonderful beast, but writers now have to really try something different to stand out... which I guess is a good thing really! 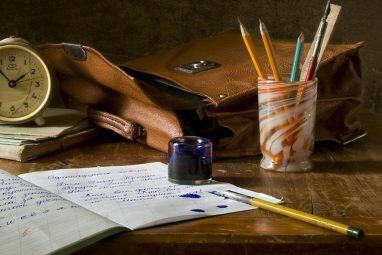 Learn how to write a professional bio. I see so many author profiles that are written in first person, that talk about kids and partners and pets, or that contain too-personal information. The same goes for promotional tweets and posts. All the self promotion in the world won't do any good if it is poorly written, promises the best book ever written, or compares the book to a prominent author. Just as an editor is essential for the book itself, an author should also use an editor for the bio, blurbs, and promotions. One point about the cover you neglected: the *back* cover is often as important as the *front* cover. A blurb about the book - especially if it's by a prominent person - may do as much to sell your book as the image on the front. (This would be the writeup that's posted to Amazon, where people can't pick up the book and look it over). If your book is on Amazon in a print edition, the cover can be flipped by a viewer to see the back cover, so yes it is important to have good legible content on the back cover, but the 'blurb' does not hurt. A review on Amazon is also very helpful, get someone to review the book on Amazon for you.